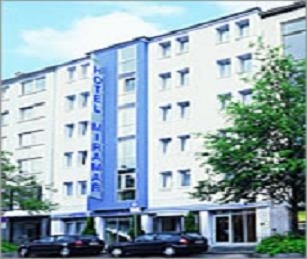 You will find the Hotel "Miramar" in the heart of Frankfurt, surrounded by many tourist attractions. The Paulskirche and the Römer, where the traditional Christmas market takes place every year, are only a few steps away. This is also the beginning of one of the most beautiful parts of Frankfurt, gloriously situated on the banks of the river Main. Our hotel offers you 39 modern, excellently furnished rooms with showers/WC, hair-dryers, Pay-TV, Radio, mini bar, telephone, Internet connection, air-conditioning and a safe. Our rooms are available at the following prices inclusive breakfast buffet and including the statutory rate of VAT, except during trade fairs. Single room with shower/WC: from 100,00 € Per Night, from 80,00 € Weekend. Double room with shower/WC: from 130,00 € per night, from 110,00 € Weekend.